Cassandra Fairbanks is my hero. And she will be yours too if you haven’t already heard the SoCal girl’s efforts to get a man’s two step back. Let’s start at the beginning, the pic you see above was posted on the sketchy online message board 4chan–yes, the same site that leaked celeb’s nudie pics. 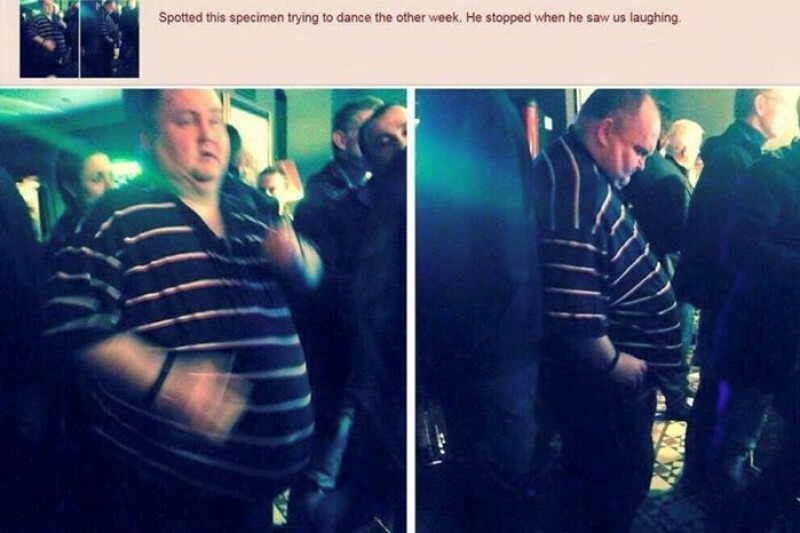 Of course it wasn’t meant to compliment “dancing man’s” moves, but to humiliate and fat shame him. Cassandra, a writer for “The Free Thought Project,” re-posted the pic on Twitter asking her 30,000 followers to keep their eyes peeled for “dancing man’s” whereabouts. In less than 24 hours the hashtag #FindDancingMan was retweeted over 11,000 times. How is that for power in numbers? Dancing Man (birth name is Sean) was located not long after. He has yet to speak publicly about being bullied. But, Cassandra is a woman of her word; she continues to raise money–donations are through gofundme–for Dancing Man’s dance party. And Pharrell wants an invite. So far the anti-bullying campaign has raised $39,664. Whatever money is left over from the party will go towards an anti-bullying awareness org. Thanks Cassandra and the 2,000 other girls for going above and beyond to be kind to a stranger.